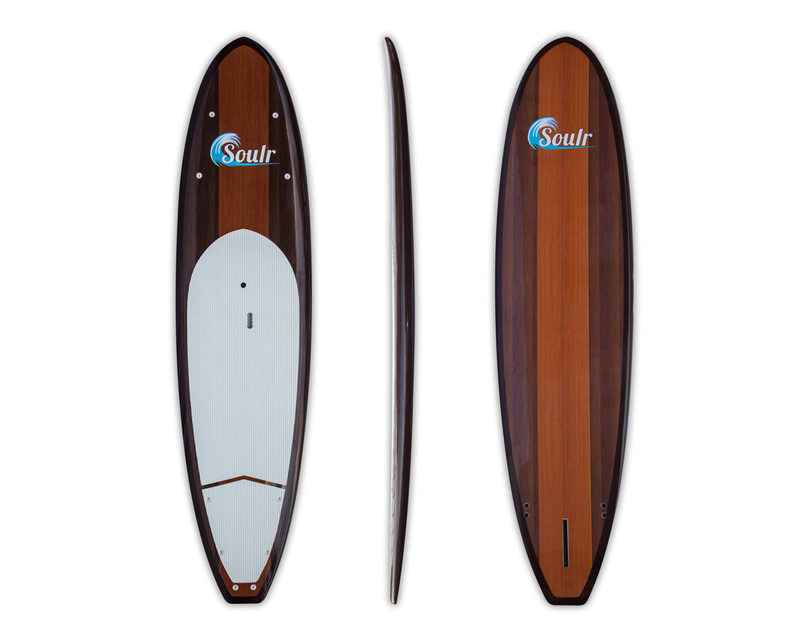 Get fit and look good doing it on the 10'8" Soulr Dark Woody SUP! 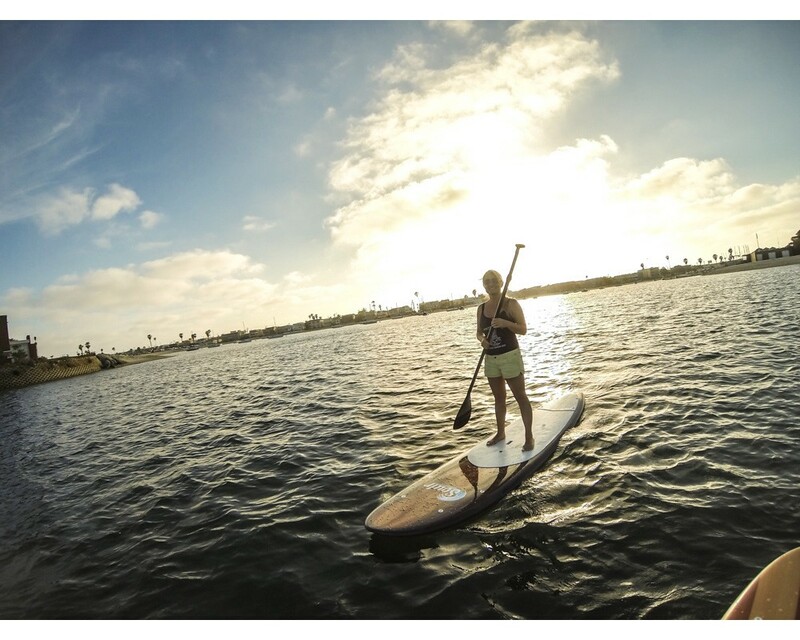 This excellent all-around paddle board is ideal for cruising on flat water, exploring the open ocean and catching waves all day long. Featuring our premium 6 oz. + 6 oz. + 4 oz. epoxy sandwich construction, it is built to last and is ready for the adventures ahead. 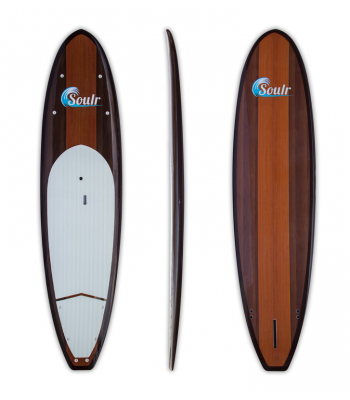 Best of all, this SUP is packed with features you'll use everyday. There are 4 tie down points built into the nose, and an additional 4 on the tail. 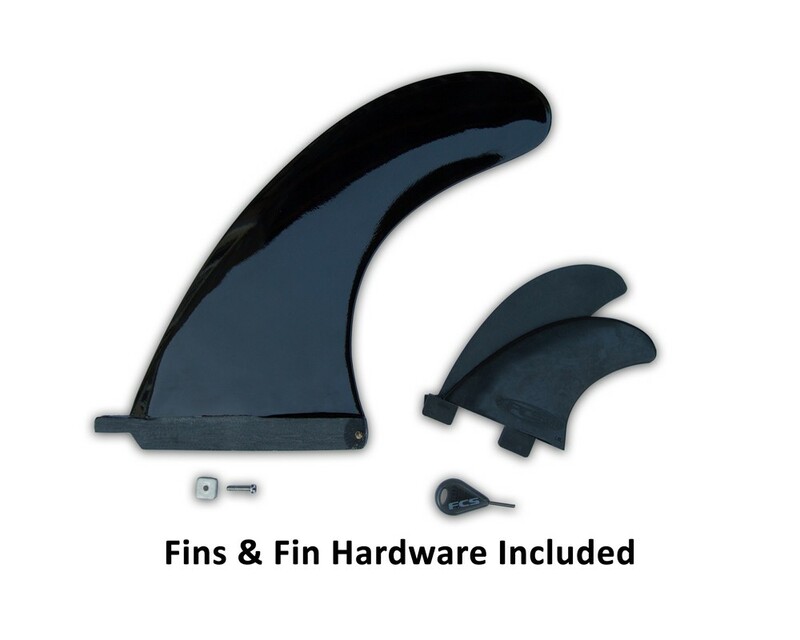 This gives you maximum flexibility to bring food, drinks, life jackets or anything else you may need on the water. And the grooved carrying handle makes it a breeze to carry. Last but not least, this board features a stunning woody design that is created using real wood veneers. Not only does this enhance the looks, but it strengthens the board by providing a structural element between the fiberglass layers. All in all, this boards a real winner, pick one up today! Size 10'8" x 31" x 4.5"